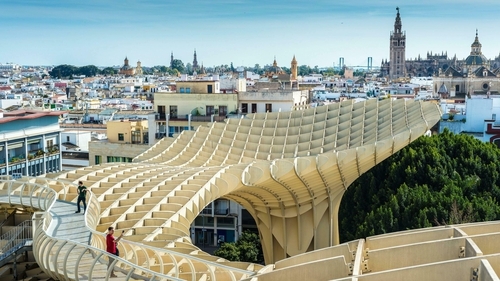 The Metropol Parasol is the world's largest wooden structure. 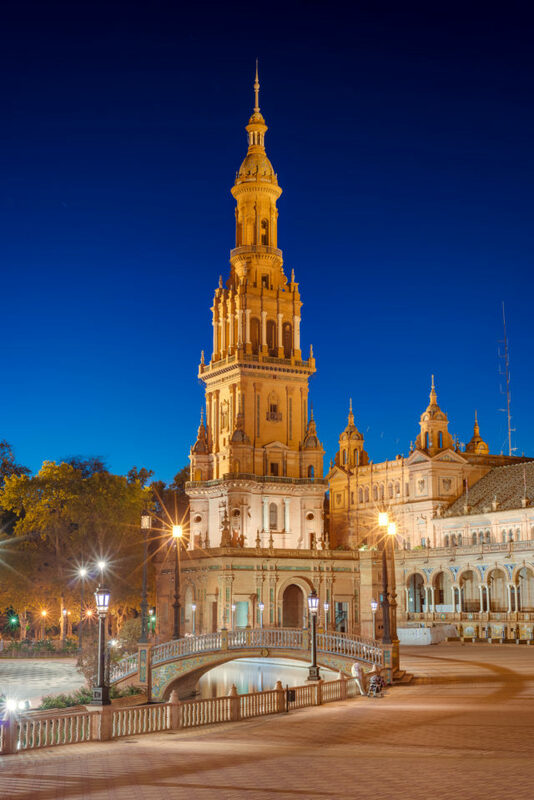 Countless TV and film crews have used the Spanish city in their productions. Laura Paterson finds out why. 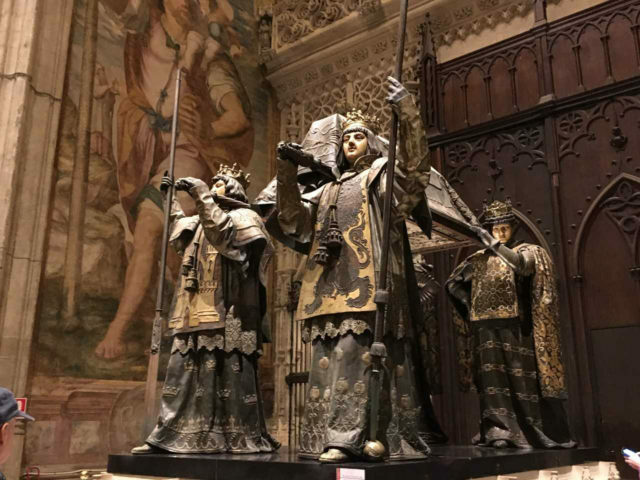 In fact, many of the city’s historic landmarks pop up in films, with the five-star Alfonso XIII Hotel – which counts royals including Princess Diana amongst its former guests – appearing in 1962 epic Lawrence Of Arabia and hit Netflix series The Crown. 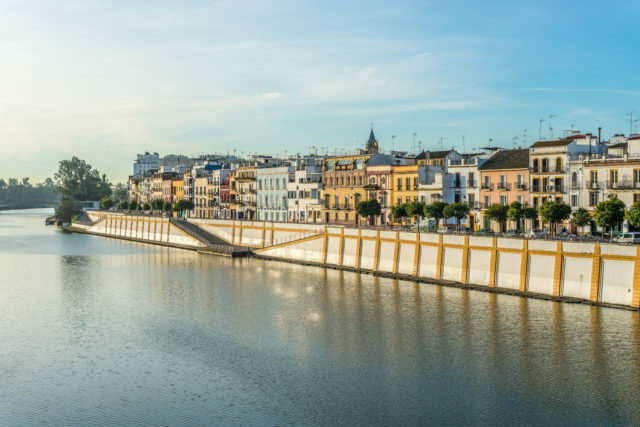 As we head across the Guadalquivir River to Triana – proudly known to some residents as the Independent Republic of Triana – I hit the heady Segway heights of 18 kmph. 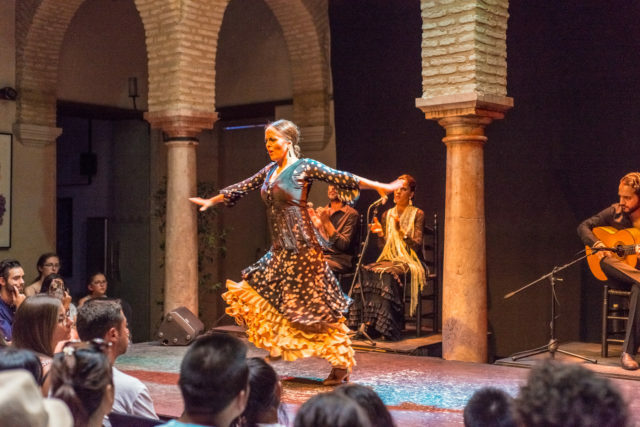 Originally a working-class neighbourhood packed with ceramic factories, it has become fashionable in recent years but has a dark past as the headquarters of the Spanish Inquisition. 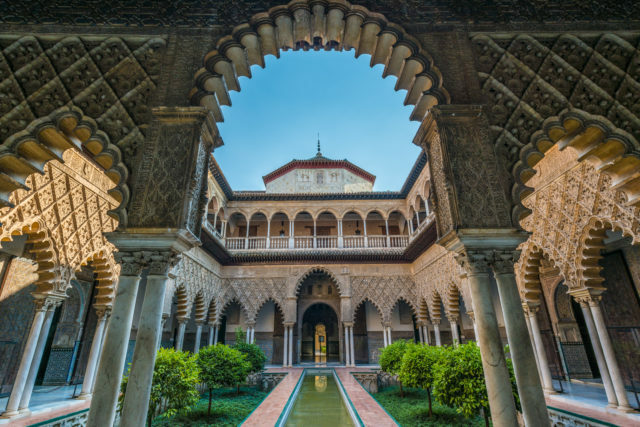 It’s probably worth visiting Seville just to eat here. 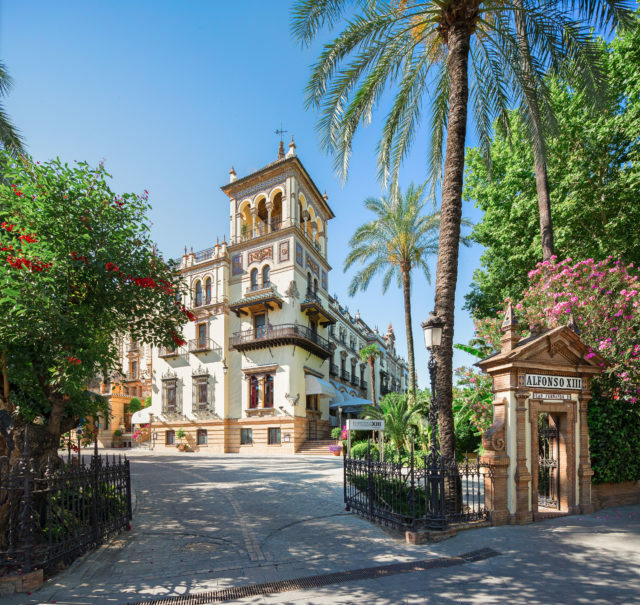 Based in an Andalusian mansion house, the restaurant offers modern twists on local specialties with highlights including croquettes filled with local cheese, Iberico ham, and prawns, and Iberico pork cheeks slow-cooked and served with a rich and sweet Pedro Ximenez sherry glaze. Buzzy but relaxed, this modern restaurant has a mix of tapas and larger dishes, all with an emphasis on fresh produce; staff routinely present fish to diners for approval before cooking. Go for the Spanish tomatoes with tuna belly, followed by a dessert made from local oranges. 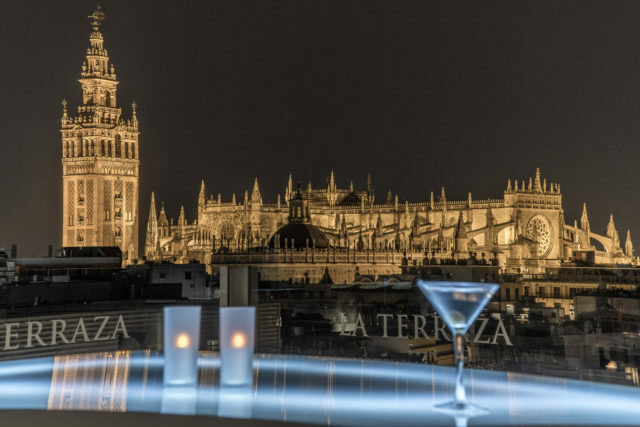 On the edge of the Plaza Nueva in the heart of the old city, this hotel is minutes from key sights, including the palace and cathedral – which can be seen from the modern, upmarket roof terrace. Built in 1857, the design is opulent and traditional, with mirrors, dark wood, and swathes of marble offsetting the pale blue and yellow decor. 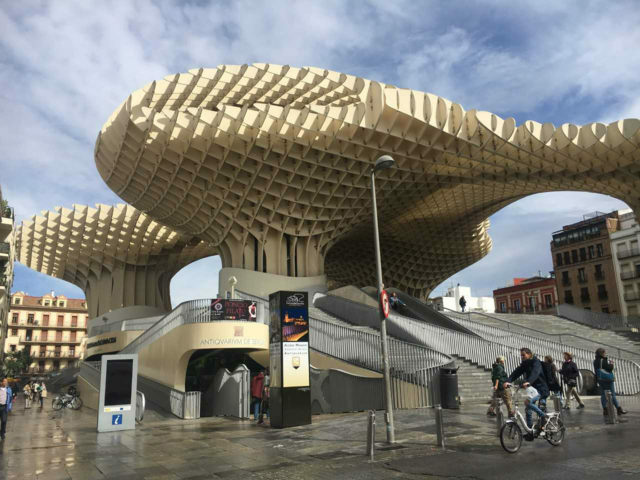 Segways are permitted on Seville’s many cycle lanes, making them an ideal means of zipping about and covering more ground than you would on foot. Cyclotour guides will whisk you around the main sites, stopping regularly to give a local perspective on the city.